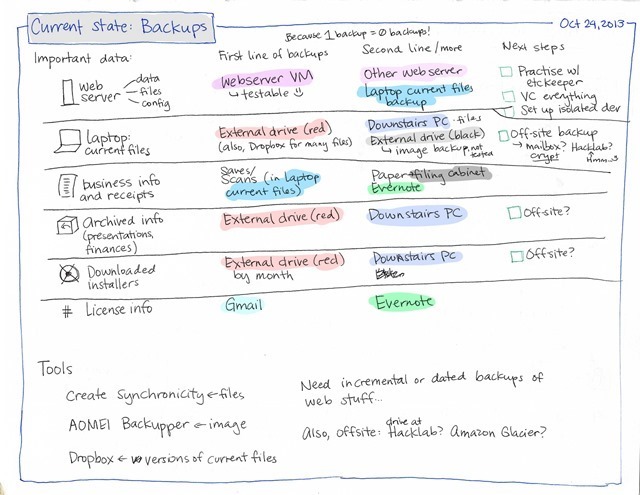 It’s good to have backups. 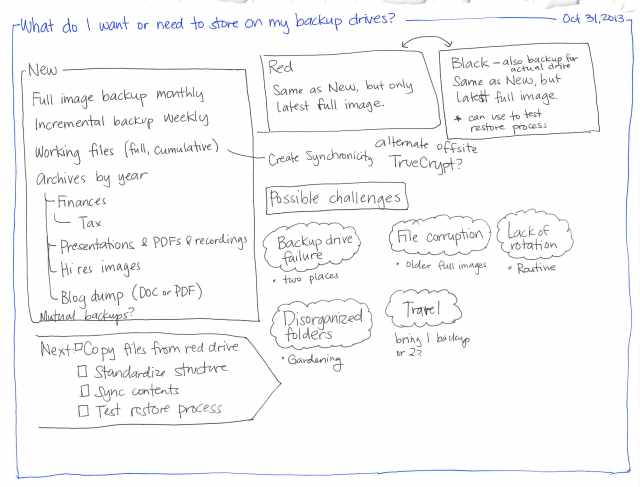 It’s even better to document the backup and recovery procedure, and to test the backups regularly. Here’s where I am in terms of backups and what I’m working on next. Testing my image backups without risking my main computer – maybe a different drive. I’ve grabbed files from my backup a few times, and I’m so glad I had them. I wish I’d been better at keeping financial statements and things like that from earlier. I have Ledger records but no electronic statements from 2009. I’ve gotten much better at saving statements every month, so now they’re part of my regular archives. Working on it!